There's Something About "Blade Runner"
A new look at the role of hero and villain in Ridley Scott's "Blade Runner." View image This shot has always been there. Steven Boone over at The House Next Door has seen the latest -- er, "Final" -- cut of what may now, 25 years after its debut, be "Ridley Scott's" "Blade Runner," in the new version premiering at the New York Film Festival. Above all, Boone was wowed by the digital presentation: "The Final Cut" is remastered from original 35mm elements and transferred to High Definition digital video at 4K (4096 horizontal pixel) resolution. Projected in HD at 24 frames a second for this year's New York Film Festival, this "Blade Runner" has no visible grain, dirt or scratches, stuttering frames, reel-change "cigarette burns" or soft-focus moments when the film gets loose in the projector gate. Funny how I thought I'd miss all those things, their "organic" qualities, but this restoration gives us a pristine image without sacrificing warmth. The picture even fooled our editor, who at first thought he was looking at a 35mm projection. This "Blade Runner" removes every barrier to getting lost in Scott's fire-and-rain Los Angeles short of presenting it as interactive theater.I saw the original version first-run in 70 mm at Seattle's Cinerama Theater in 1982, and grain was evident, probably for a couple reasons: 1) many of the visual effects involved multiple, non-digital exposures; and 2) the film wasn't actually shot in 70 mm, but was blown up from 35 mm. According to an extensive, multi-sourced Wikipedia article on the film, the 1990 version advertised as a "Director's Cut" and shown at the Nuart in LA and the Castro in San Francisco was actually a 70 mm workprint. (In the days before digital, effects were often done in 70 mm, even for 35 mm releases, for better optical quality.) Scott approved the 1992 Director's Cut, but wasn't entirely satisfied with it. Wikipedia offers comparisons of the various versions, citing the primary changes as: * The removal of Deckard's explanatory voice-over * The re-insertion of a dream sequence of a unicorn running through a forest * The removal of the studio-imposed "happy ending," including some associated visuals which had originally run under the film's end-credits.It was apparent from the beginning that the voiceover was a big problem -- and Harrison Ford (who didn't get on with Scott, much less the studio execs who were calling him in to read narration) has said he did it badly and begrudgingly, hoping they wouldn't even be able to use it. (It's that cringe-worthy at times.) Scott, however, says he wasn't taken off the picture, and that he completed the original release version after it tested badly with audiences. Q. I noticed that several times you referred to the good Transformers as "Transformers" and not as Autobots. 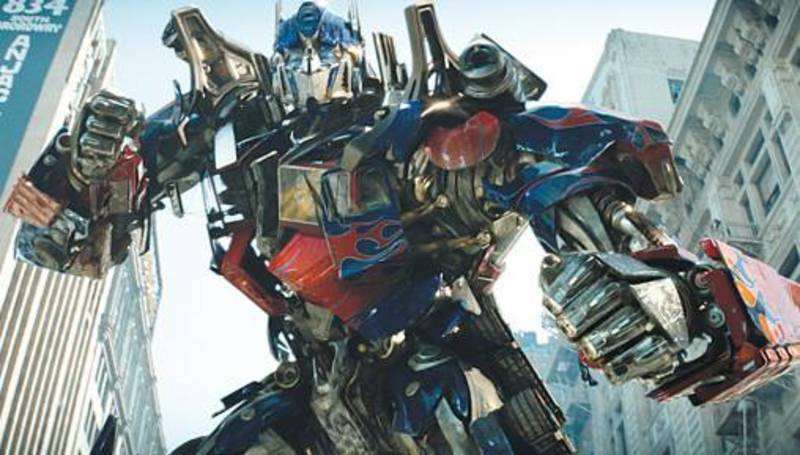 In the movie, Optimus Prime tells Sam that he can call his group the Autobots for short. Both the Decepticons and the Autobots are Transformers and of the same race, but over time, as Optimus describes it, a struggle for power ensued and peace was shattered. I just wanted to clear this up for you. Women all over the country are going to see "Thelma and Louise" with a rare enthusiasm, despite Hollywood's conventional wisdom that men make most of the moviegoing decisions. To understand how they're connecting with the movie, look at an afternoon screening in a theater like the 900 N. Michigan complex. The largely female crowd isn't made up of teenagers, but more mature generations - married women, professionals, older women, visitors to the city. They love this movie. They cheer it, they get teary-eyed, and they bring their friends to see it.